CHEN Huaiqing is a senior student at the School of Life sciences, Tsinghua University. Driven by his the interest in wildlife, he joined the Luo lab in November 2013 and participated in a project on confiscated brown bear paws from Russia. He is now working on conservation genetics of China’s freshwater turtles for his B.S. thesis. Huaiqing is from a mountainous area in Guizhou Province, southwest of China. His interest of wildlife traced back to his childhood when he enjoyed catching bugs and fishing. 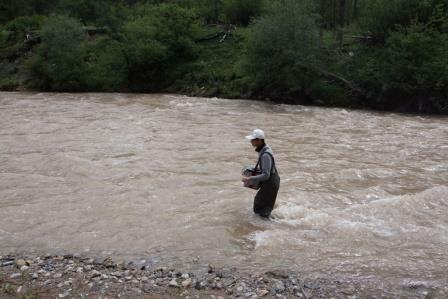 In summer 2014, he joined a Rapid Assessment Program (RAP) of biodiversity in Lancang River in Qinghai Province as organized by PKU.